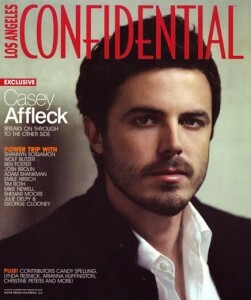 Casey Affleck, hey that’s my chair! 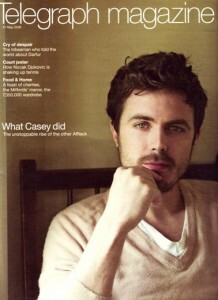 This is a cover I did of Casey Affleck at my house. He is sitting in my bedroom in a chair that I got from the Fox lot years ago when they were selling furniture from different movies and tv shows. This chair was on Picket Fences. Anyway I was in London and saw someone with this magazine on their table next to mine at a restaurant. It was so funny and surprising to see it there.